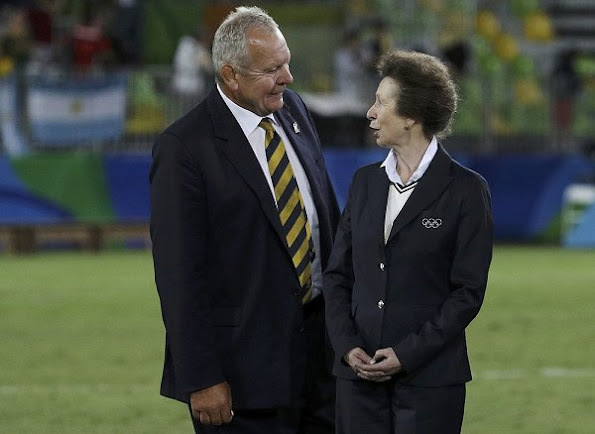 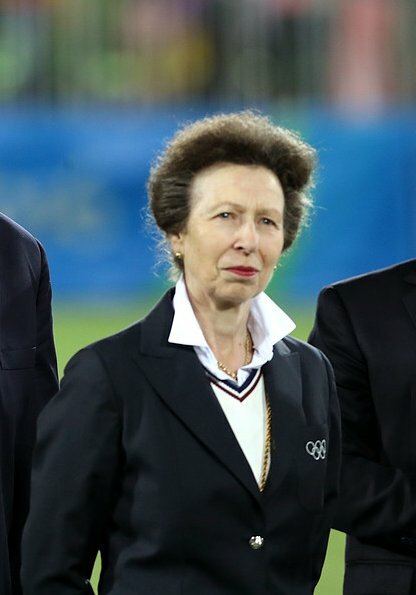 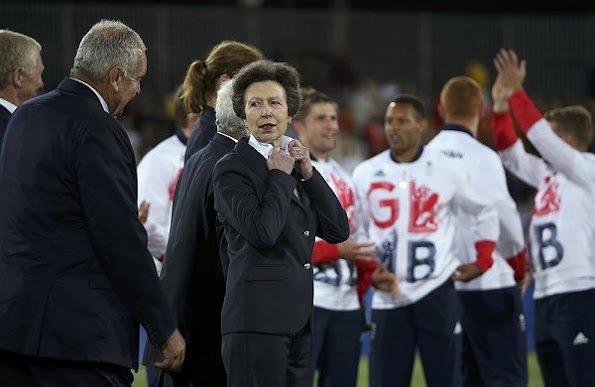 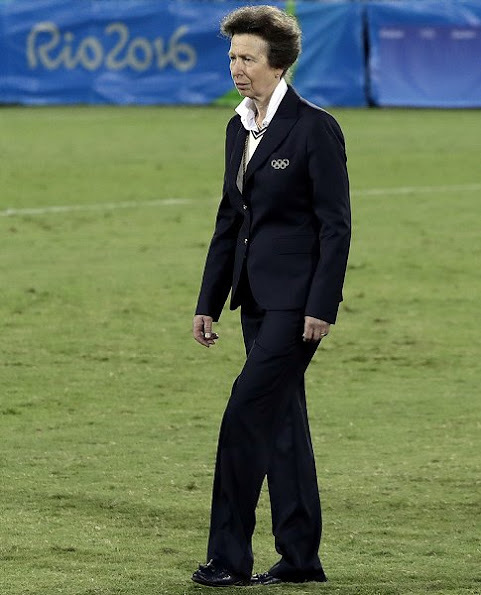 Britain's Princess Anne attended the medal ceremony for the Men's Rugby Sevens on the sixth day of the Rio 2016 Olympic Games at Deodoro Stadium on August 11, 2016 in Rio de Janeiro, Brazil. 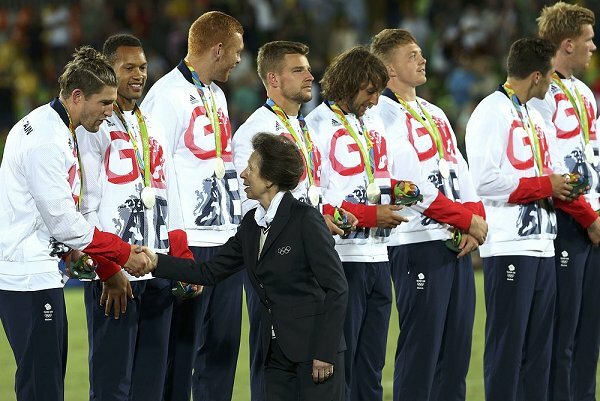 Fiji wins first Olympic gold medal with win over Britain. Incredibly emotional for Fiji! My word those men are tall!